The polls open in just one week from today, at 7am on June 5, 2018. Although many voters have registered to vote by mail, many of those voters have yet to make a final decision on who to vote for, and that's especially true with judicial elections. Many people ask me who to vote for in the judicial elections, and while I know many of the candidates, I prefer to refer voters to independent sources, such as the LA Times or the Metropolitan News-Enterprise. I have now drawn together the recommendations of various organizations and individuals who are experienced with judicial elections. The Judicial Voter Guide is a document you can download, print and use to help you and other voters make a decision on who is most closely aligned to your viewpoint. 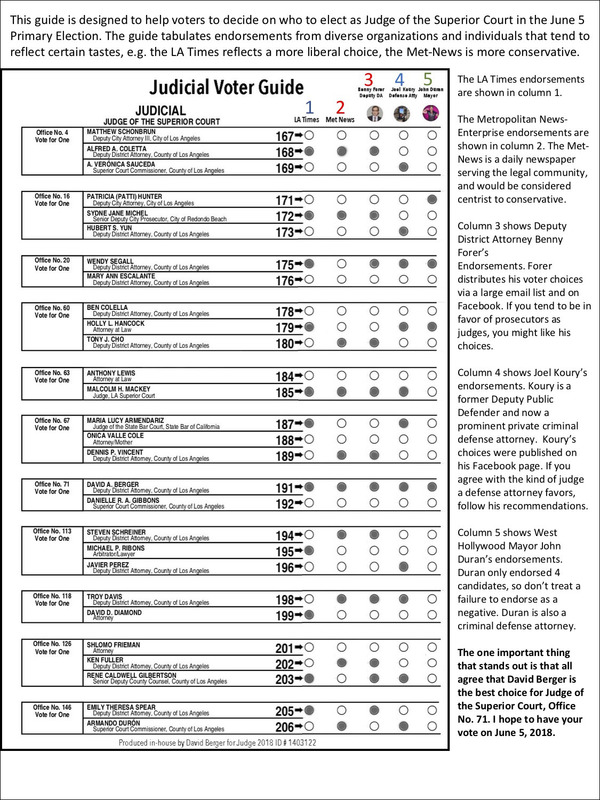 I hope you find the Judicial Voter Guide useful, and above all else, remember to vote for David Berger for Judge on June 5, 2018. 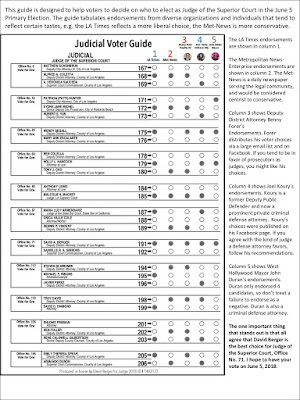 CLICK HERE to download the Judicial Voter Guide.